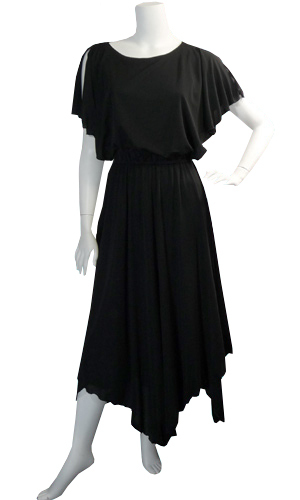 This one piece dress is very appealing with frilled sleeves that are cut in between. The bodice is loose and it becomes tight at the center of the waist. 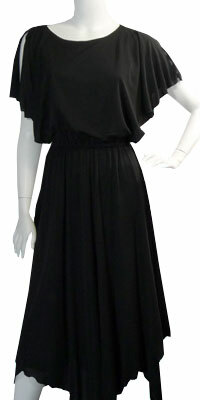 The skirt has pleats and the hems are asymmetrical in nature and the length can be called three fourth.